Photograph from social media site. KUALA LUMPUR, April 15 (NNN-BERNAMA) — Two Malaysian teenage girls who were earlier reported missing in Petaling Jaya, near here, were reported to have been found, a local daily reported. The police are interviewing the two girls, The Star reported. 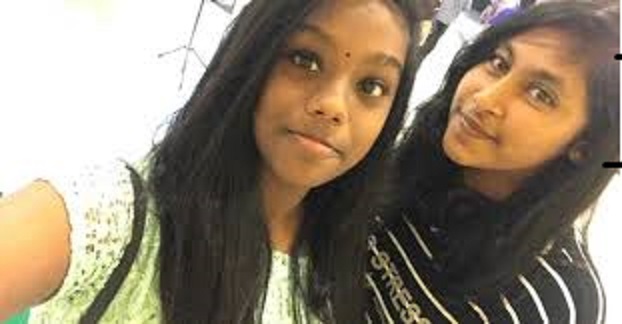 The Malaysian police on Monday launched a search for the two girls who were reported missing after celebrating the Tamil New Year at a condominium in Jalan Gasing Indah, Petaling Jaya on Sunday. Natshatra Navinata,15, and Divyaa Munian, 16, were reported missing by both their parents. The two girls were said to have returned from prayers in a temple nearby Sunday evening to Navinata’s home. Natshatra’s mother, Sheila Manikam said her daughter and Divyaa were at the house until about 10.30 pm when the latter wanted to go home. They were said to have gone missing after that. Petaling Jaya district police chief ACP Mohd Zani Che Din had confirmed receiving the report on the missing girls before the search party began.